Can one rationally choose a career? I write this for my many young friends who are either passing out of school or high school or graduating from university, and who are a little troubled by the big decision of their lives. Ah! Yes, deciding our career is a big deal. And yes, there are many hurdles in the path as well as many naysayers and misguides. So how do we objectively take a decision. Do we decide on the basis of what our elders say? If so, then do our elders know what is right? Do they know the new trends and courses and challenges? And even if so, is what they think right, right for us? So do we then decide on the basis of the money prospects? Do we choose the "hot" career? What if the trend changes? What if the money is just a hype? What if the "hot" career turns out to be a "hot" seat? Hmm! Then we must go by what our marks say! But then which marks to choose - school or entrance tests? Can the entrance test we take once or twice decidedly know who or what we are? Can the school know for sure what we are? Are the marks of a written exam sufficient to know my psyche? Can the scholastic subjects like Math and History decide what kind of thinker I am? Can they tell me where I will be successful? SO, should I not go for success? But then I want to be successful so that I can earn money and that in turn would make me happy. SO should I rather aim for happiness??? Lot of thoughts ... lot of questions. We have all been through this, those of us who crossed this stage in our lives. I ask them - Are you happy? What parameter did you use to take the decision - Money, Marks, Possibility of Success, Popularity of the career or simply Joy? And I know that most of you who have succeeded and some of you who have not, when we cross our mid-life and our strengths start to dwindle, have realized that .... It Matters Not Whether We Won Or Lost ... But Only How We Played The Game. But then of course WE the "elders" want the best for our young ones. And so the young persons out there must not ignore the advice of their elders, as neither should they cling on to their elders. So can there be a way in which all the stakeholders - the person concerned, his/her parents, teachers and other relatives (Well they do have a huge role to play in the Indian scene) - take a decision together without conflicts and without bias and reach to a workable plan? I propose a plan here that has worked for me and for thousands of my students at Abhinav and some through the Philosophy Olympiads. Step 1. What do I love? What subjects or activities at school / college do I like doing? Which activities out of school / college do I enjoy the most? Even playing or interacting with friends is important. What is it that I can enjoy doing for long periods of time? Hence, shortlist a few activities / interests. This may include reading, chatting with friends, solving puzzles, studying and thinking about history, discovering places on maps, etc. These activities need not be known careers like medicine, engineering and so on. Each career has certain traits which are necessary in the person. The activities you choose here will show you those traits. Now give marks to the activities on a scale of 10. The one's you love doing most get higher marks. Step 2. What's my talent? If you do not have the ability to do that which you like, you will never succeed. So next step is to discover your talents. These may or may not include the above activities. You may be good at math, but not like it. Never mind, include it in the list. When thinking of your talents do not be biased by what you like doing or what is a "hot" career, etc. Simply focus on these few questions. In which subjects at school / college do i score highest? Am I better than most of the class in these, if not then maybe they are not really a talent. e.g. my highest marks are in English, say 50%, while the class highest is at 70%, then English cannot be my talent. In which activities outside of school, or those in school but not associated with academics, do I excel? e.g. I may be good at dance or running. Again, if I haven't won any awards in these, then it may not be my talent. If I haven't sparkled in front of the world by doing things that win awards, YET ... Are there things that I do in my free time, which are productive, like - teaching other kids, making handicraft items, helping dad with his shop or mom in the kitchen, or simply thinking about how other people think and usually be right in predicting their actions. Usually we ignore the last of these. And yet, it is through these free-time activities which have no public recognition, we can find our careers, e.g. teaching, small scale industry, entrepreneurship or even counselling and philosophy. I may not enjoy doing some of these things the most, but if i am good at them I could still make a decent career. A more systematic way of finding out about your talents (however not the most accurate) is to take certain online tests. (free for a basic result and paid for detailed analyses) Some of these tests may not work on you if you are too young like say in std VIII or so. The tests may also not work because you may misunderstand the question or you did not think hard enough. These tests will however, help diagnose if you are seriously talented in a particular area. Personality types and career indicators - such as the MBTI or the Jung Typology Test. Now, again rank these activities by assigning marks on a scale of 10. Where you believe you are most talented - since you get awards or recognition or simply because you are able to successfully perform the activities or because the "tests" say so - give more marks. Step 3. Discover and connect careers to activities? Here is where the elders come in in an important way. Young people know whet they like and what they think they are good at. Elders can help refine these thoughts. However, what careers demand such personalities, is something only an elder who has been through that stage can know. For example if someone likes to interact with people a lot, is very shrewd in choosing which people to make friends with and can convincingly argue on certain topics, however, is not good at any school subjects, could make a good career in marketing. Someone who is very quiet and reserved and like to think a lot about the world around and is only interested in talking with adults (that too the wise and educated) at length on different topics, can find a good path as a writer or philosopher. If a young person enjoys working with his hands and accepts / understands the science in the "books" only after he performs the experiments himself, would work well in a practical industry like manufacturing. Find out about different careers online. There is a wealth of information available. e.g. Collegegrad gives a listing and hence details of almost a 1000 careers and you could choose the ones you like to read about. Also, if you cant think of the career which matches your likes and talents, then you could do a keyword search on the career database. These sites give you a fair idea of the job descriptions, the courses you need to do and to some extent the salary you can expect. Choose the top 5 interests and talents from your previous listing. For these items ask your parents or other elders in the family to help you guess which careers can your list of activities match-up with. Find someone in your friends and family who is already into that career and try talking to them about what are efforts involved or how satisfied they are and whether your personality is appropriate for this work. If nothing, you could always find someone on the internet who is famously into that career and write to them. By doing these, you have the knowledge you need to proceed. So now make a fresh list of the careers that your activities can lead to and you assign them marks on the basis of which ones match the most with your likes and talents. How much money do I need to survive today, if I were living on my own? How much salary / money should I earn to take care of a family living in this part of the world as of today? Would I be willing to live alone my whole life if my career doesn't pay enough? How much do my top 5 careers pay? If my favorite career doesn't pay enough, can I do something on the side to make enough money and yet retain my main interest? Can I do my favorite "career" as a hobby and take up a more paying career? Will I be able to devote time to my favorite job? Sometimes some careers are more paying for a few years and then the trend changes. Are my favorite careers just trends (so I must be cautious) or are they "stable and paying" for last many decades? Mark your list of careers on a fresh scale of 10 if they give favorable answers to the above questions. Step 5. What is accessible? What courses would you need to do to realize your career? Sometimes you may not need a course but rather a particular kind of person (a Guru if you will) to teach you the ropes of the career like an apprentice. Are such courses / people available at a convenient place? Are such courses / people affordable? Is the time required to finish these courses not a problem for you? e.g. If you need to earn in a hurry as your dad is retiring, then a 7 year PhD may not be right. Are you capable of putting the efforts that the course demands? e.g. Engineering demands 8 hrs of lectures and almost the same for practical / study work per day. Can you handle that? Now rank the top few courses in your list on a scale of 10 using this last criteria. And ... here's your decision. Try for the top career in your list. If that fails for some reason, move down the list. 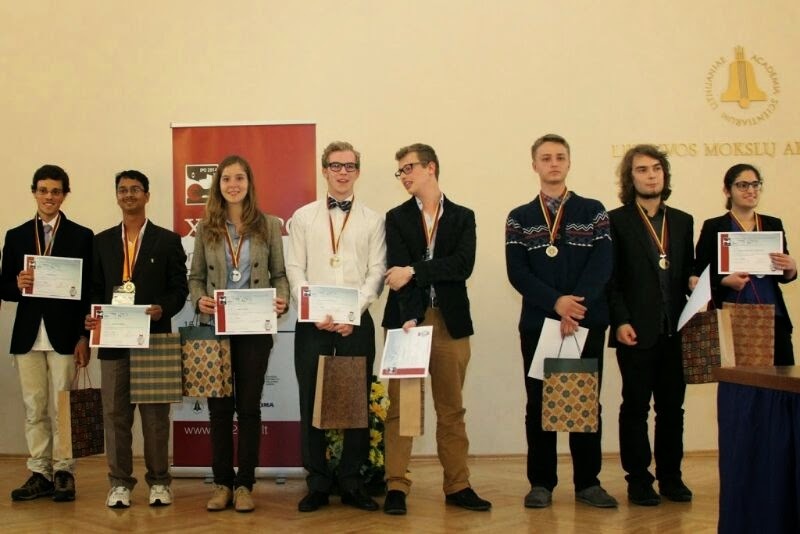 I am very happy to announce that India has won a Silver medal for the third consecutive time at the 22nd International Philosophy Olympiad held Vilnius, Lithuania during 15-18 May 2014. The results were announced on the 18th. 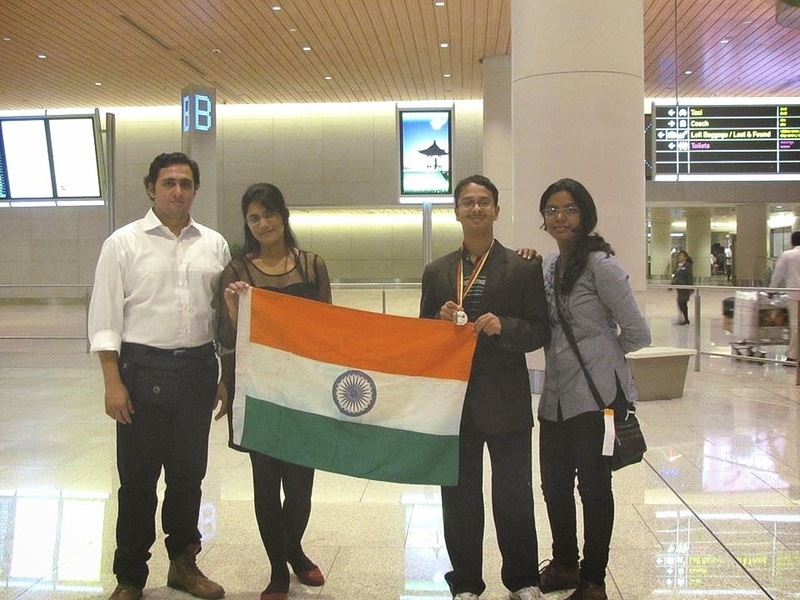 The Indian contingent consisted of teachers Pooja Bilimogga (Mentor) and Kedar Soni (Team Leader) and students Aparna Mishra (DPS, Bokaro, Jharkhand) and Abhishek Dedhe (SP College, Pune, Mahrashtra). Abhishek Dedhe won the silver for his essay on a quote by Anscombe on the idea of what constitutes murder. Abhishek wrote about how unscrupulous thinking necessarily leads to unethical acts like murder, while Aparna highlighted the brutal killings under the guise of religion or politics or caste. 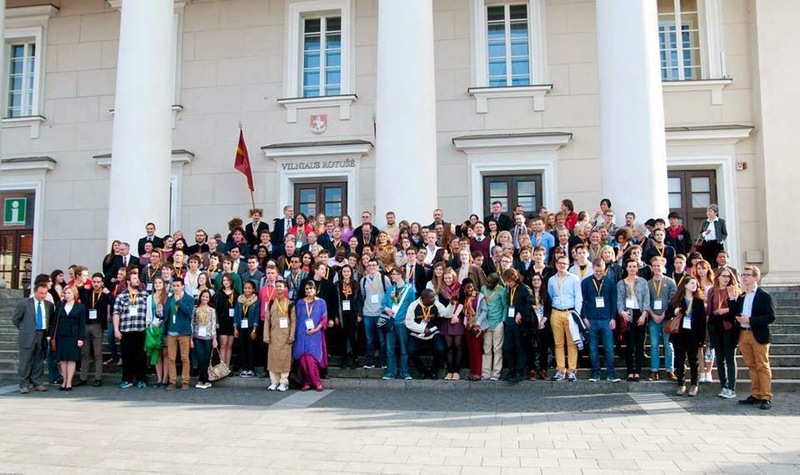 There were 42 nations competing with 2 students from each country, with the host (Lithuania) allowed a grace of 9 students. There were 4 golds, 8 silvers, 9 bronzes and 9 honorable mentions awarded this year. The total tally of awards is thus about 33%. This has been the highest fraction of awards at any IPO. The Indian team had been selected through the Abhinav Philosopher competition during November-December (held in two stages). About 300 students had participated from various parts of the country. They later prepared through this blog (via posts and assignments) and them online on Google Hangouts. Finally a week before departure they attended a camp for more rigorous workouts at my school. Thus they put in almost 10 hours per week for over a few months and more than 14 hours a day at the camp. We even prepared all along the journey until just before the essay round. Preparation consists of knowing something about logic and reason and also philosophy of various kinds, isms and issues. It was more about how to apply this knowledge then the knowledge itself. Philosophy cannot be simply learnt as a history of ideas, it must be learnt as a method of passionately debating these ideas and finding rhyme and reason within. At the IPO Pooja and I evaluated essays of students from other countries. The identity of the essays we evaluate is secret and the international jury comprising of teachers from various countries goes over essays of students of countries other than their own. We discuss the topics and the essays constantly refining our perspectives and hence getting a more accurate judgement of the level of the students. 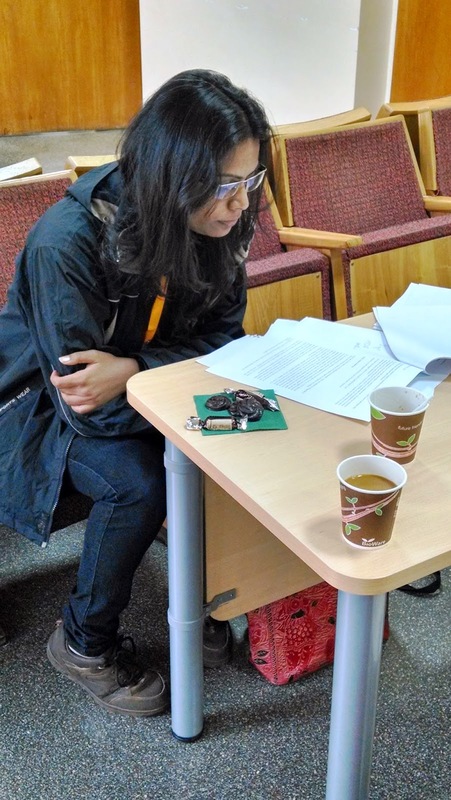 The jury then selects the top few essays to be sent to the steering board comprising primarily of FISP members who are philosophers themselves. 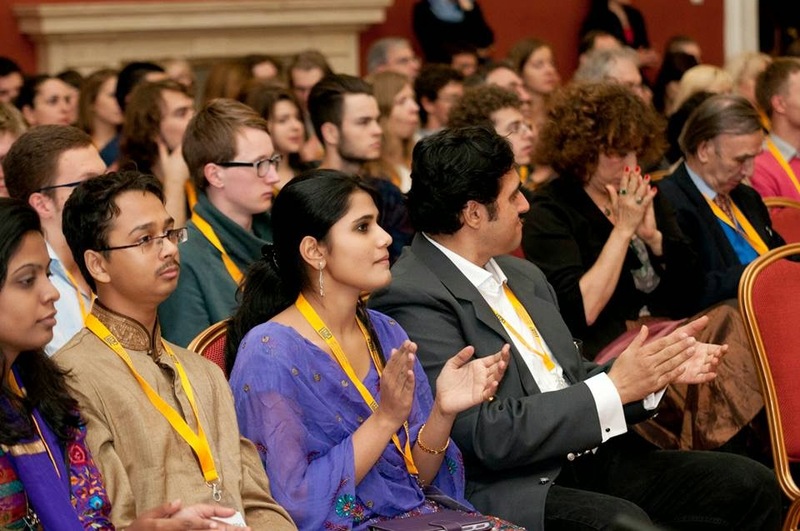 Pooja had represented India at the IPO held in Helsinki, Finland in 2009. She had been assisting in the training and selection of the Indian team, since then. 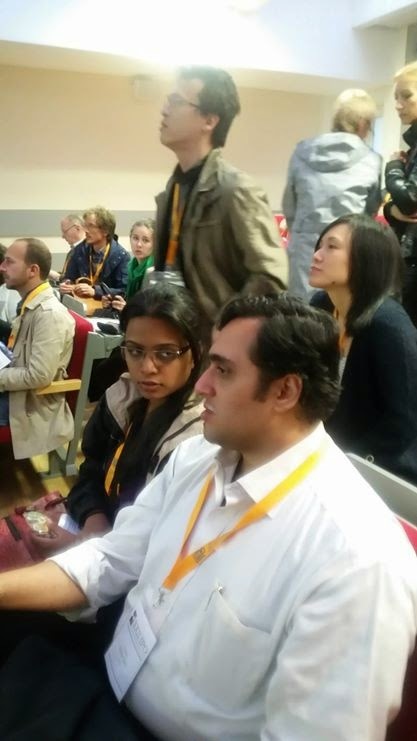 This was the first time, she participated as an international jury. 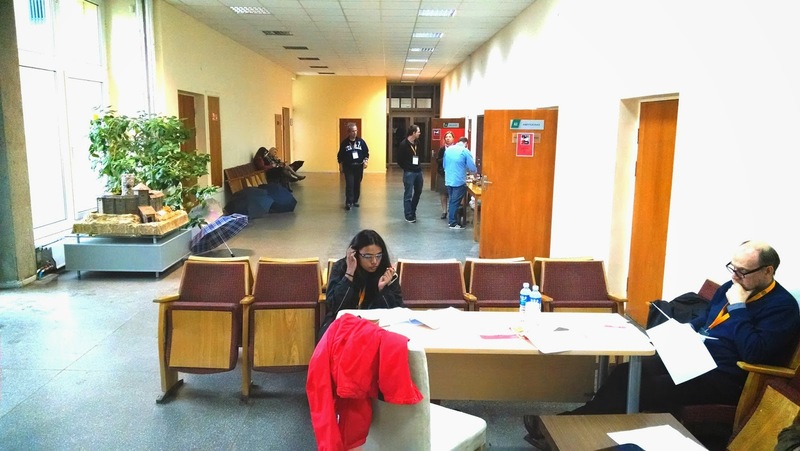 All through the days after the essay round, the students participated in tours of historical interest, museums, etc, and workshops on topics in philosophy. The greatest part of the event though was students from many nations and ethnic divides meeting each other and learning from the other's culture. There a few shocks and a few surprises in store for all of them. Through this they learn to understand and accept different views and ideas as also different people. But then this is what it means to become a citizen of the world. 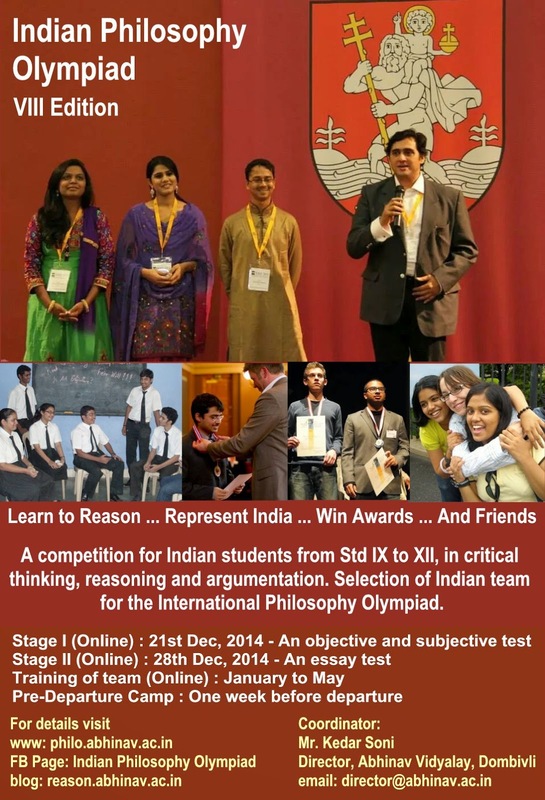 I conduct this Olympiad in India without any funding, with only one expectation: I want the youth of my country to learn to reason and think critically about each and everything they deal with - may it be IIT exams or regular studies or teenage problems or politics or may it be their deepest emotions and desires. I want them to be strong intellectually and emotionally to really create a great society ... and a great world.